Ferrules ensure a neat insulation to the end of multi-stranded and tri-rated cables. 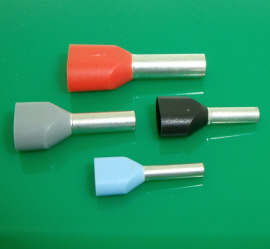 Using ferrules turns stranded wire into a solid one, this makes it easier to insert cables into terminal blocks and prevent breaking or fraying to individual strands. 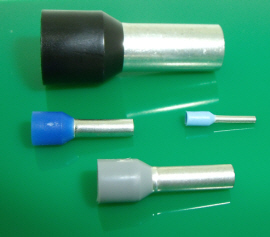 Ferrules also eradicate any cable strands coming into contact with any other terminations, which could create shorts. 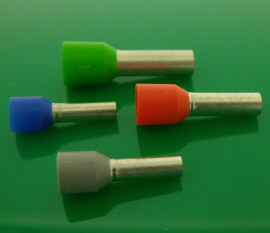 Other benefits of ferrules are to prevent conductor breakage due to wire stress, bending and vibration. 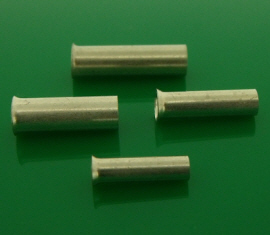 Please browse our range of French code, German code, DIN code, Twin cable and Uninsulated Ferrules below.